This is a wonderful LS,one page, 8” x 10.25”, Mexican Southern Railroad Company letterhead,November 7,1881, signed by Ulysses S. Grant. 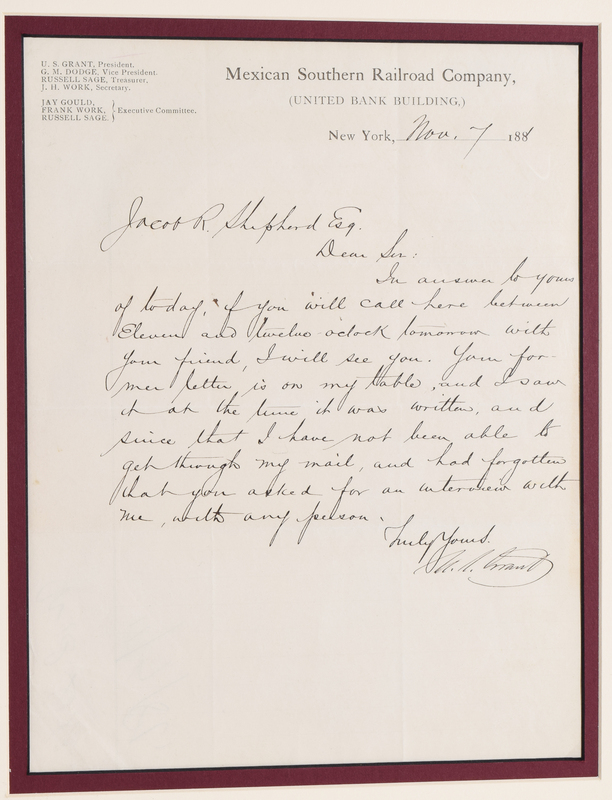 Letter to A. D. Shaw, in reference to interviewing someone and not able to meet. 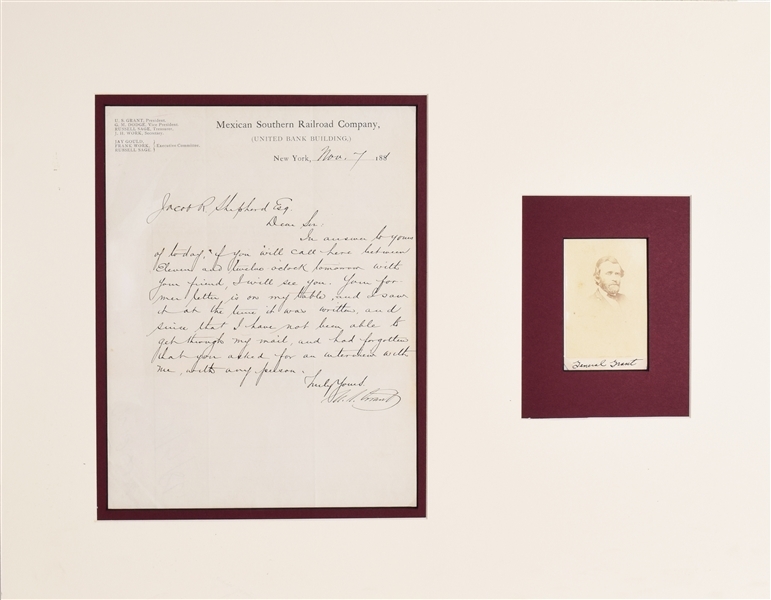 This piece is matted and framed with a CDV portrait of Grant to an overall size of 16.5” x 14.5” In fine condition, with intersecting folds, in fine condition. Grant used his position as president of the Mexican Southern Railroad Company to increase trade with Mexico, and was appointed by President Arthur to negotiate a commercial treaty with the country.